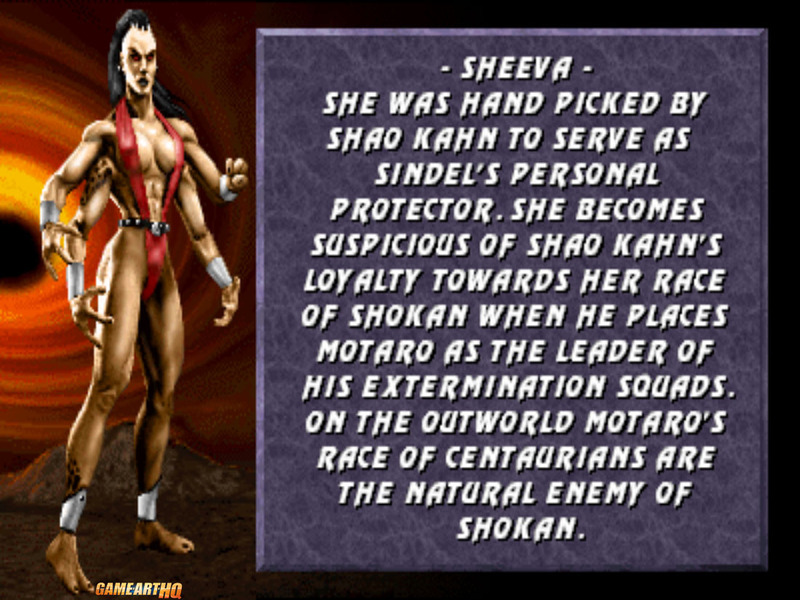 Sheeva is another one of the completely new characters in Mortal Kombat 3 and represents the Shokan race after Goro and Kintaro worked both as mid-boss characters in the previous games. For the first time, a member of the mighty Shokan race was playable in the form of Sheeva, but of course she got balanced out with the other fighters to make her not overpowered. 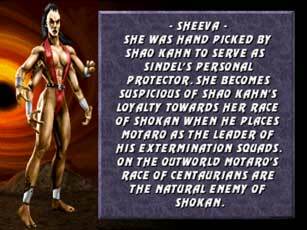 She is the hand-picked bodyguard of Queen Sindel but becomes very suspicious of the Outworld Emperor’s loyalty to her race when he placed Motaro, a Centaur as the leader of his extermination squads. 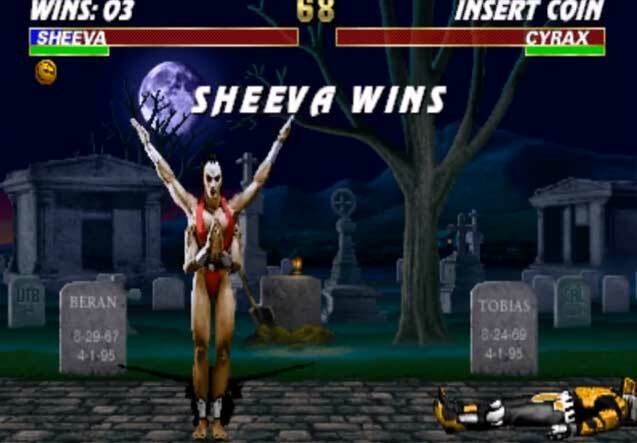 In the game, Sheeva plays mainly like a normal human character but she also has the mighty jumping stomp move and can also use all four arms for some attacks. She has one of the most brutal Mortal Kombat finishing moves ever with her skin-ripping fatality. 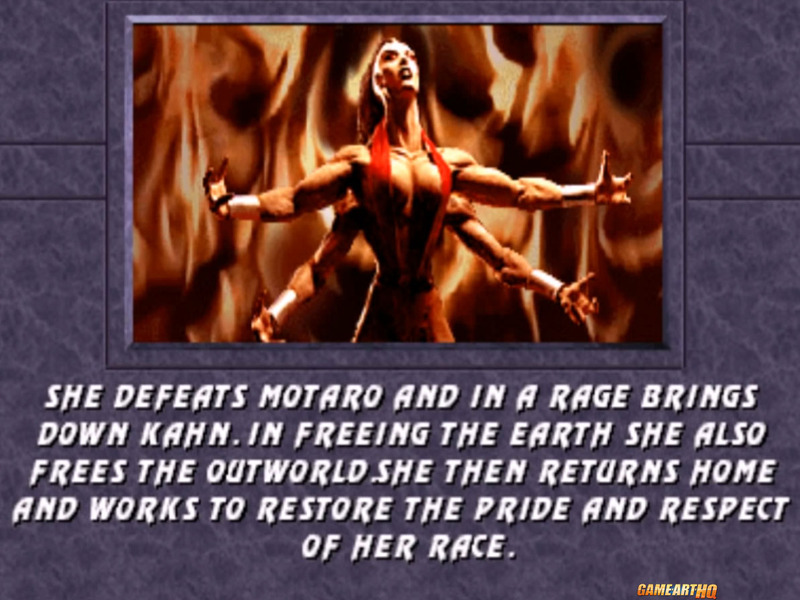 According to her ending, she defeated both Motaro and even Shao Kahn himself when she is outraged after learning about her Shokan race being punished while Kahn favours the Centaurs now. She frees Earthrealm as well as the Outworld and restored the pride and respect towards the Shokan race. Sheeva in her classic Mortal Kombat 3 design was drawn by Zakuman as part of the first 80 characters round back in 2011.